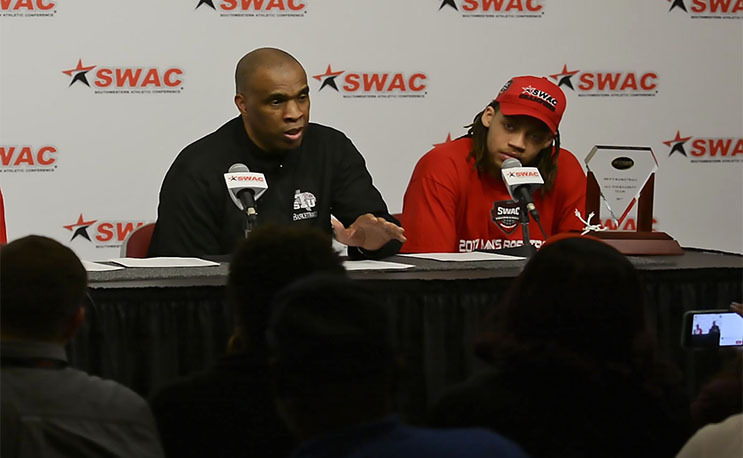 Tigers begin defense of its SWAC Championship on Friday night. Senior forward Kevin Scott had a long journey getting to Texas Southern University. He admittedly struggled with finding his niche under legendary, hard-nosed coach Mike Davis. “Playing for coach Davis is a change, it’s different you can’t come in doing what you want,” Scott said. Last year as a junior Scott played in all 35 games, averaging 10 points and 4.9 rebounds per game. He’s one of two returning starters from last year’s SWAC championship team and will be called upon to be a leader this season. Akil Williams of “Real Deal With Akil” interviewed Scott and got his perspective on last season, losing a coach, losing teammates, and the upcoming season. On Friday, the Texas Southern men will begin its 2017-2018 campaign with a trip to Spokane, Washington. They will face Gonzaga at 8 pm CT. The game will be televised on Root Sports.